Being the birthplace of Impressionism, Normandy is surely one of the most beautiful coastal regions in France that inspires artists and even travellers. Having played an irreplaceable role as a strategic site during the World War 2, Normandy has plenty historically important sites and quaint ports for you to discover! INSIDR is happily leading you to a self-drive touring holiday in Normandy, for the very best of France! Only a 3-hour drive from Paris, Normandy is one of the most popular self-drive destinations for travellers who want to see more beyond Paris and look for natural landscapes. There are numerous travel guides in Normandy for planning a perfect Normandy trip itinerary. However, if you are looking for something authentic and very local, you should stay tuned for INSIDR’s Road Trip! If you happen to be in London first for the road trip, you can easily cross the Eurotunnel and arrive the capital of Normandy, Rouen, which will save you more time! People from Normandy are super proud of their tradition of cider and crêpe, and often compete with those from Brittany. Whoever is the ultimate champion on producing cider and the French pancake, you should definitely try the very high quality versions from Normandy! The style of the Normandy architecture is Romanesque and medieval, often with colourful strips or grandiose facade. They are usually built with stone or timber and have stunning structures! 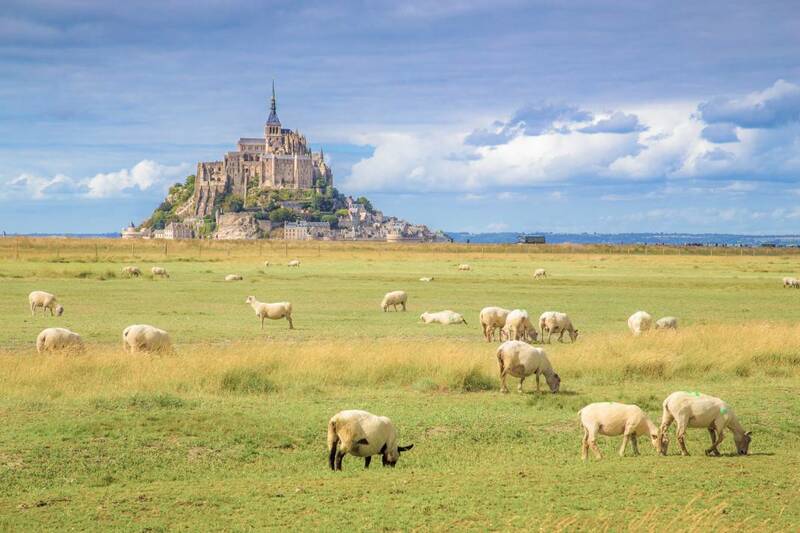 If Mont St Michel is on your checklist, how can you just not visit the beauty next door, Brittany? Within an hour’s drive, you’ll be arriving at Saint Malo and Cancale. Cancale is one of the most prestigious sites for French oyster productions (seafood lovers take note!). Walking down the cobbled streets in and visiting the old town of Saint Malo will give you the impression of travelling in time. Along the breathtaking emerald seashore, you can also enjoy the historic medieval town of Dinard and Dinan… It will definitely be one of the best holidays you would ever have!